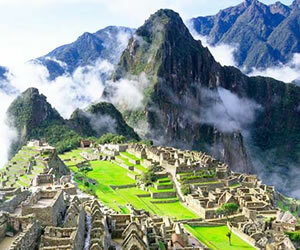 This adventure tour is designed for travelers who loves the nature, adventure, culture, tradition and history, its a combined tour and hike where you will see many green field and snowcapped mountains, you will visit the most attractive archaeological sites in every tour such as City tour, Sacred valley, Maras Moray & Salt Mines, and the 2 Days Inca Trail to Machu Picchu. The trek is rated moderate and any reasonably fit person should be able to cover the route. It is fairly challenging nevertheless, and altitude of 4200m are reached, so ensuring that you are acclimatized is important. 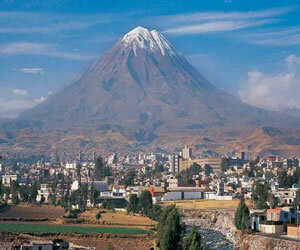 Puno is a city in southeastern Peru, located on the Shore of Lake Titicaca. 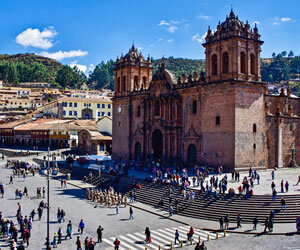 It is the capital city of the Puno Region and the Puno Province with a population of approximately 149,064 (2014 estimate). Upon your arrival to the Capital city of Lima (Flight details: to be confirmed) our representative will be waiting for you, holding an small board written your names and then, you will be transferred to Hotel for check in and then LIMA CITY TOUR - Colonial & Modern: Visit The Government Palace, the Municipality palace, the Cathedral of Lima, and main colonial buildings around the Plaza Mayor, the 17th century Monastery of San Francisco the most magnificent colonial and monumental center of the America's, you will find a Basilica with 21 altars, the convent with the cloister, the Clementine and Capitulars room, the choir, the monks library and the Prefunds Museum that exhibits 11 paintings of Rubens. The sacristy exhibits paints of Zurbaran and Rivera. The Gran Patio is garnished with Seville's tiles from the XVI century and Moorish arcs. It also includes a visit to the underground tombs (catacombs). Then a short tour of the modern districts of San Isidro and Miraflores visiting places like The Love Park or The Indian Market (souvenirs & handicrafts). Finally we will visit a shopping center named Larco Mar, which was built on a spectacular cliff overlooking the Pacific Ocean. .. We will also visit an exclusive restaurant “La Rosa Nautica”, where you will have the opportunity to prepare your own “Pisco Sour” and the famous “Ceviche”. Enjoy a delicious lunch, consisting of the most symbolic dishes of Peruvian cuisine. Dinner on your own. 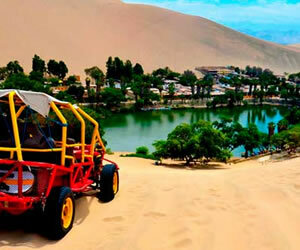 This mountainous region of Peru offers mystical awe-inspiring sights to discover...The tour includes the visits the small zoo of Cochahuasi where you can observe the flight of the CONDOR`S, Andean pumas, fox, deer’s, parrots, macaws and variety of animals and birds and then you will visit Awana Kancha or (Alpaca farm) which is a weaving center with the goal to keep alive the traditional textile arts. Here you can see four members of the camelids family – llama, alpacas, vicunas and guanacos. Alpaca have thick wool and is the most commonly used while the vicunas are small and delicate with fur considered the finest. You can meet these fours camelids, learn about the harvesting of the different wools and the natural dying techniques and have change to see native weavers from different areas showing their weaving style and dress afterwards, we continue with visit to the Andean native markets and ruins of Pisac .This mountainous region of Peru offers mystical awe-inspiring sights to discover... along with farms and villages that welcome you with a taste of daily life. The GUIDED tour basically includes walk through the different sections such as: The Urban sector, the agriculture sector, and the religions zone was used by the Inca Culture. After the guided tour in Machu Picchu, you will have free time to explore by yourself, walk at your own space, a lot of selfies and to meet other tourists into the sanctuary. According with the time and to your physical conditions, you can coordinate with the tour guide to climb to HUAYNA PICCHU or Machu Picchu Mountain from where you can have the best panoramic view for photos of all Machu Picchu and of deep green canyon surrounding the sacred Inca Citadel. Do not forget that this entrances, must be booked in advance and pay US$ 65 extra. Q'enqo (Labyrinth) A religious center dedicated to the adoration. 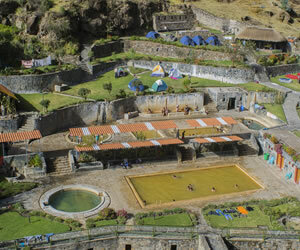 After breakfast, pick up from your Hotel, head towards Juliaca and an excursion to the Sillustani towers. The pre-Inca Sillustani funeral towers lie next to the Umayo Lake and form part of one of the largest and most important necropolis in the world. Used by both the Altiplano civilization and the Incas and their wives "Collas" to honor their dead and in preparation for the after-life. They were abandoned when the first Spanish arrived. With over ninety chulpas (tombs), all built from volcanic rock, those for the Incas can be easily recognized by their finer detail. Transfer to Juliaca airport for the flight back to Lima.